We all take a great deal of pride in our work, whether that’s a project at home or a task at work on which the reputation of your business could well depend. Sometimes the basics can be overlooked, and that affects results, if you understand the important factors, and the preparation behind each and every job then good results are achievable every time, and in no job does that mindset work better than in bandsaw cutting. 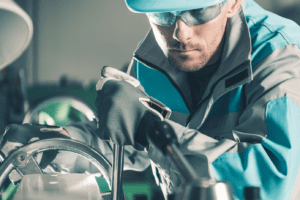 Coolant does what it says it does, and if it’s the right one for your operation and machine, it probably does it very well; that’s mainly heat transference, cooling your workpiece, but also lubricating the blade. However coolant also acts to flush chips and debris away from the cutting area and helps to ensure none of it finds its way into your machine. Coolant can and will degrade over time and needs constant checking and, if necessary replacing. That doesn’t mean just adding more water, as that alone will destroy the ratio of water to coolant that you need, and weaker ratios mean less effective coolant. A visual inspection of the chips coming off your workpiece can offer a few clues here; they should be full and curled, if not then check your blade for chips that are trapped. 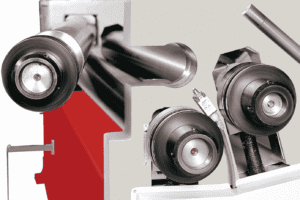 If the chips aren’t the same colour as your workpiece, then your blade might be suffering heat related issues. 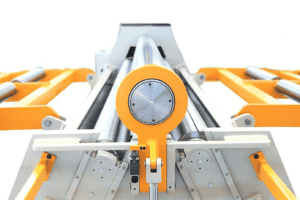 An often overlooked aspect of using your bandsaw is controlling the rate and pressure based on the type and thickness of the material you work with. If your automatic downfeed is set for a sharp, newer blade then that blade won’t be sharp and new for long, it needs to be reset constantly to take into account the age and condition of your blade. If your bandsaw has a manual downfeed, then awareness of the cut quality and adjusting that rate and pressure accordingly, will pay dividends in the quality of the cut. You might think this is an obvious no-brainer, but you might be surprised. 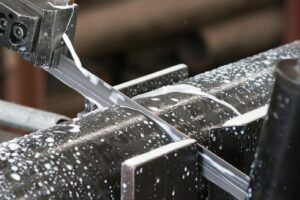 A workpiece mustn’t move during the cut, which means as much pressure as possible (if adjustable clamping pressure is an option) without causing damage to the piece. 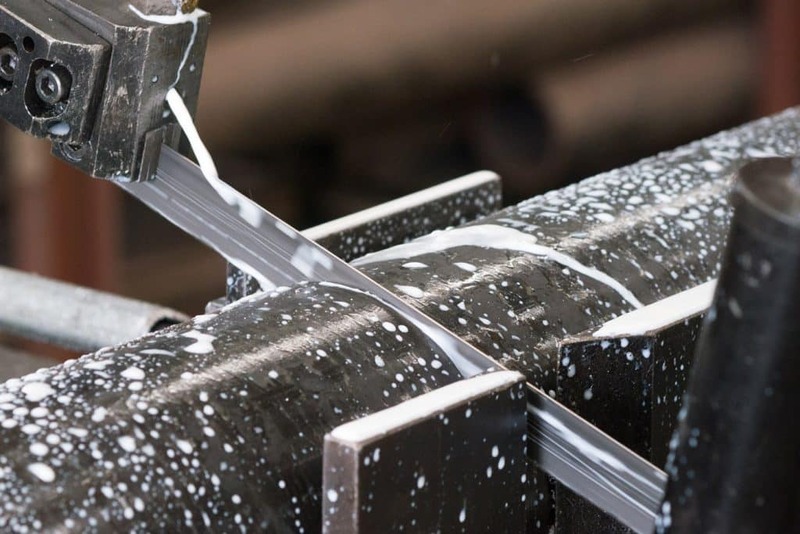 Support must also be given to the cut-off side to stop it from dropping away under its own weight, and rectangular stock is better positioned vertically to minimise the blade contact with your workpiece, both will result in a better quality of cut and more efficient cutting process. The final and most fundamental tip, as much for cutting as for anything else is good machine maintenance. Are the moving parts well lubricated? Are bearings all functioning soundly and smoothly? Does the blade cleaning brush making good contact with your blade? If your blade is in good condition and the guides are correctly positioned, and all the above tips are taken into account, then you’re good to go, with the best cut possible!